This week I was excited. Not for anything in particular, but just a general kind of excitement about possibilities and potential. I was ready and anxious to get out there and do…whatever. I’m always really happy when the seasons change, so that might have had something to do with it. It could have also been the “excessive” amounts of Easter candy I consumed (I regret nothing), or maybe (hopefully?) this Zenned out attitude adjustment is really taking hold. I think it may have finally gone on long enough that I can no longer give all credit to the NYC runner’s high. 1. I took my bike out for the first ride of the season. 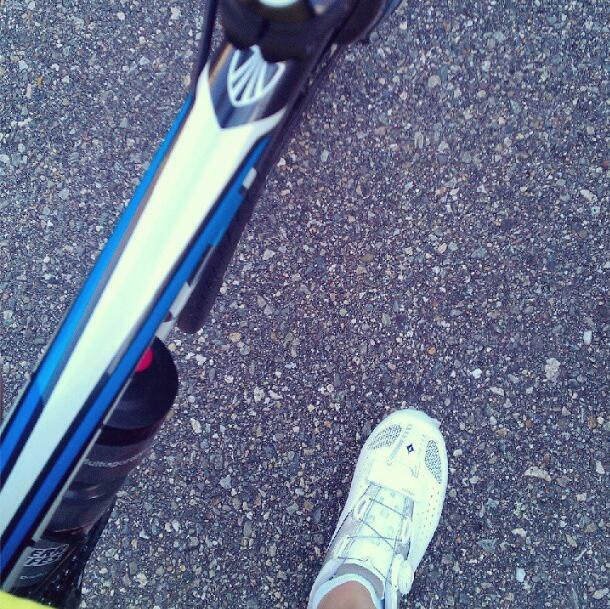 Even better, it was my first ride with real, clip-in bike shoes and I loved it. General wisdom is that when using clip-in shoes you WILL fall at some point. My dad and his group of cycling buddies have decided that it takes two to three falls before you learn to pay attention when stopping. I, being terrified of falling (with visions of derailed race seasons, and memories of that [disastrous] time I bought a skateboard) paid SO MUCH ATTENTION and my first ride went off without a hitch. Yes, I know I will probably fall at some point, but I’m glad it wasn’t on my first ride. This first ride was bliss. Gorgeous, Spring-y, legit bike gear bliss. 2. I bought a wetsuit. I’ve always been a swimmer, so I’ve never been overly concerned with the swim portion of triathlons. Also, despite the fact that I’m always cold on land, somehow in the water I’m fine. 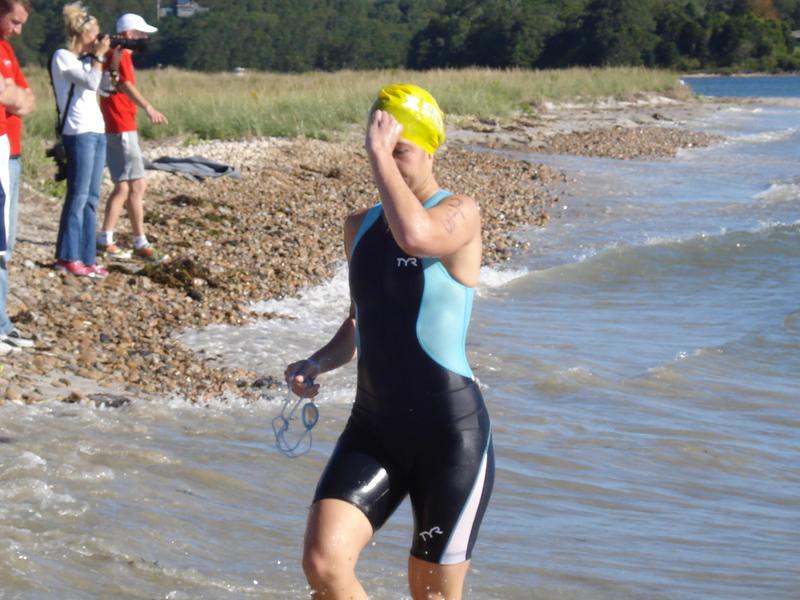 Up to this point, I’ve mostly scheduled my triathlons during parts of the season when I can get away with not wearing a wetsuit. Fun, but limiting. And I don’t want to be limited by something that is SO easy to change. Also, I don’t love getting run over by people more buoyant than me. So I took the plunge (ha…) and got the suit. So that was my week: massive amounts of excitement, putting myself out there, and showing all my sports some love. I have high hopes for this week as well, not least of all because this sweet shirt is on its way to me, as a reminder of all these big things I want to do. I’ve got a 10k coming up this weekend, I’ve narrowed my options in The Big Fall Marathon Debate, and I still have some leftover candy.